Robert W. Bruce passed away Saturday, Sep 1, 2018 at his home. He was born August 22, 1938 in Centreville, Mississippi, the son of the late Charles G. and Lucile (Darden) Bruce. Robert was raised in the south and lived in many places where his father pastored and graduated from high school in Louisville, MS. After graduating from school, Robert enlisted in the United States Navy, where he served as an ensign. He often told how he had the "Con" when they sailed through the Straits of Gibraltar from the Atlantic into the Mediterranean Sea. It was while in the Navy Robert contracted Type 1 diabetes, which altered his life till the day he died. He could not stay in the Navy because of diabetes and went on to college at MSU, where he earned two masters degrees. He married Judith A. Kelly on May 14, 1982. Robert worked at Trapper Creek Job Corp in Darby, Mt. One week after their marriage they moved to Ft. Polk, LA, where Robert became an education Counselor to the Armed Forces personnel, encouraging and counseling them in how they could further their education while in the service. Robert, Judy and children had the opportunity to relocate in Germany for a 3 year tour. Robert, working again as an Education Counselor and Judy employed as a secretary to the AlAG who was 2nd in command of the whole division (3rd ID). When the tour ended they came "home" to the Bitterroot Valley in Montana where they have enjoyed their home for the last 25 years. Robert loved to work on his Volvos, he loved to travel to Texas where they were snowbirds for several years. Robert loved music, still playing the "vinyl". He loved all kinds of music, especially jazz. He would often play the bongos while the music played. He loved history and also would pore over maps almost daily. Robert's father was a Presbyterian Minister and he held these Scottish Presbyterian roots dearly. 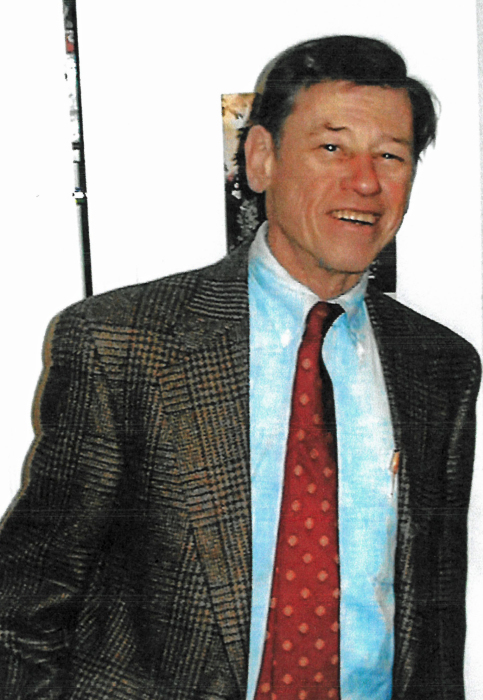 Robert was a member of the Grace Lutheran Church in Hamilton. Robert was preceded in death by his parents, Charles Bruce and Lucile Bruce, his brother, Carl Bruce and a baby brother who died in infancy. Robert is survived by his wife, Judith A. Bruce; his children, Susanna and Benton Bruce both of Pearl, Mississippi; Step children, R. Scott Kelly of Woodland, WA., Randy Kelly of SLC, UT., Theresa Kelly Stone Spencer (Randy) of Hillisborough, N.C., Karla Juniel McIntire (James) of Thorp, WI., and Claydan V. Kelly of Missoula, MT area; Grandchildren, Anna Blaze, Matthew Jensen, Jarret Jensen, Nicole Jensen, Theresa McIntire, Danielle McIntire, Jennifer McIntire, Alyssa Spencer, Erica Stone Foster and Leanna Spencer; seven Great Grandchildren. Robert's ashes will be sent to Centreville, Mississippi and will be placed in the grave site of his dearly beloved parents and brothers. There will be some military honors. Robert's family wishes to extend a thank you to the Eagle Scout who made and donated the urn.